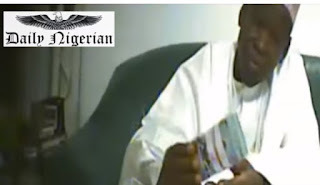 The Governor of Kano accused of collecting $5 million bribe might be in serious trouble after the House of Assembly took a decision to find out the truth. The committee set up by the Kano State House of Assembly to investigate video clips showing Governor Abdullahi Ganduje allegedly receiving bribe has opted for a public hearing. The committee chairman, Baffa Dan’Agundi, representing Kano Municipal, made the disclosure on Thursday. He spoke during the committee’s visit to the state Police Commissioner, Rabi’u Yusuf. The visit was to seek security for lawmakers and witnesses during the sittings. Danagundi said: “We have decided to make our investigation open so that the general public will be convinced about the findings of the committee. Raising a matter of urgent public importance on Monday, a member representing Warawa Constituency, Labaran Madari, urged the Assembly to investigate the authenticity of the videos and take measures. Madari said the videos had brought the institution of governance in the state to disrepute, and therefore, the need for the legislators to take urgent action. Members of the committee constituted by the speaker, Alhassan Rurum, are: Labaran Madari (Warawa) member; Garba Gafasa (Ajingi), member; and Zubairu Masu, (Sumaila) member.